Books and Needlepoint: I Am Feeling Loved! Thank you so much to all the bloggers who take the time to read and comment on my posts - and thank you even to you that I don't know about, but who just stop by to read. I would like to know about you though, and would love to add you to my blog roll. 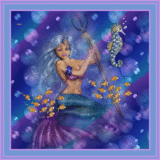 I have been trying to add everyone whose little picture appears in my left side bar under the followers. If your picture is there, but you do not see your blog down below in the blog roll - please let me know and I will fix that! If you would like to be added to my blog roll - but aren't in my followers yet, or maybe follow through a feed or email, just click on the little button and follow me. I will see you are new and get you added! I have been given 3 new awards in the last few weeks! I love it when I see these pop up in my mailbox! Reads. She awarded me the I Love Your Blog award. Add links to those blogs on your blogs. Jennifer of Jennifer's Book Blog awarded me The Splash Award! 2) Nominate up to 9 blogs which allure, amuse, bewitch, impress, or inspire you. From A Bookish Mom I also received The Lemonade Stand Award! 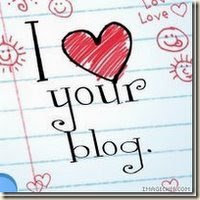 Please check out all of these fabulous blogs and maybe they will become your favorites too! Congratulations on all of your awards! Thank you for passing the "I Love Your Blog" award on to me - I really appreciate it! Thank you so much, Kristi!! No one has ever given me an award before! Thanks so much for the Lemonade Award! I appreciate you thinking of my blog!! How pretty! Thank you so much! Congratulations on all your rewards. Thanks! I've already passed it on. Thank you for the Lemonade award. I think this is my first award. Now, who to pass it on to. Hmmm. Haha! I just got this award, too, and did not realize you did! I gave it to you, too! Well, it's obviously because you are just that worthy, Kristi. Oh, and guess what else, you won a copy of the audiobook Undress Me in the Temple of Heaven from my giveaway! E-mail me your address so I can get that sent out to you. Congratulations! Congratulations on all of your awards! Thank you so much for thinking about me - I'm so flattered. Congrats on those cool awards!! You are loved Kristi! Congtrats! Kristi, thank you for the award! (And congratulations on earning them yourself.) It's so nice to be recognized by blogs I like and read! Thank you, Kristi, that's so sweet! I Won a Monster Giveaway! I Have the Best Followers! Hey You - Yeah - You! Congratulations! What a Super Blogging Community! Big Mother's Day Giveaway at 5 Minutes for Books! More Giveaways! Just in Time For Mother's Day! Author Interview - Jill Mansell and a Giveaway! The Girl Who Stopped Swimming - Giveaway! Bobbi Brown Living Beauty Giveaway! How Not To Look Old - Giveaway!